DARK BLACK I'm hardly the person to wear all black (ok probably no black heels too) but nowadays that's what my wardrobe swing is about. I'm more of a person that dress up according to what I feel like in the morning, and reflecting upon my recent wear I think I'm feeling the color. Certain days I'll go all out on color-blocking, certain days I'm mad over prints (why do they look so weird on me now?) 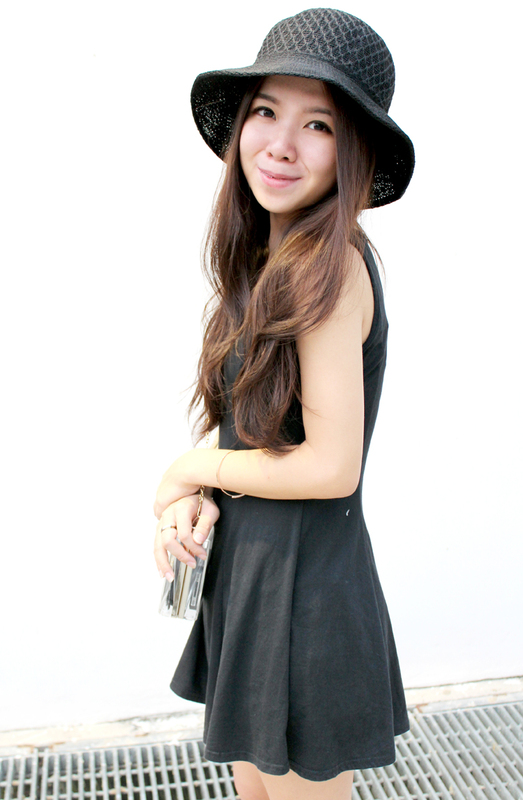 and in recent days I'm falling in love with black (more black! 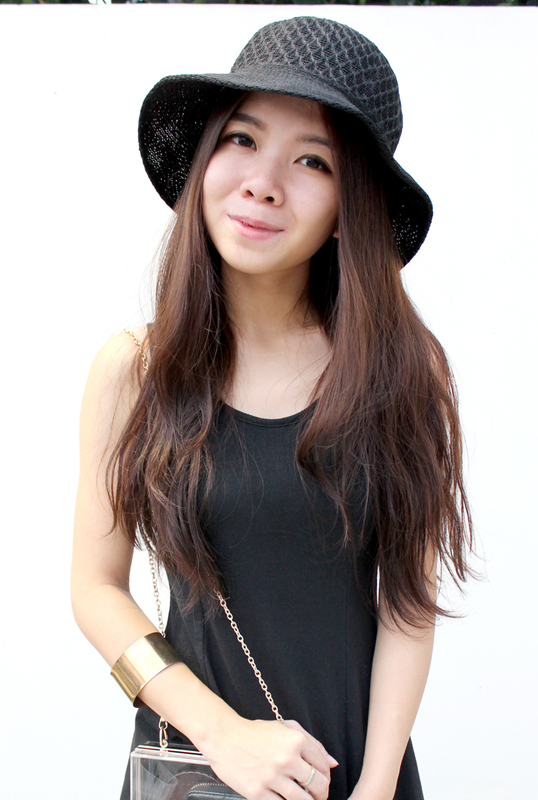 more black!). 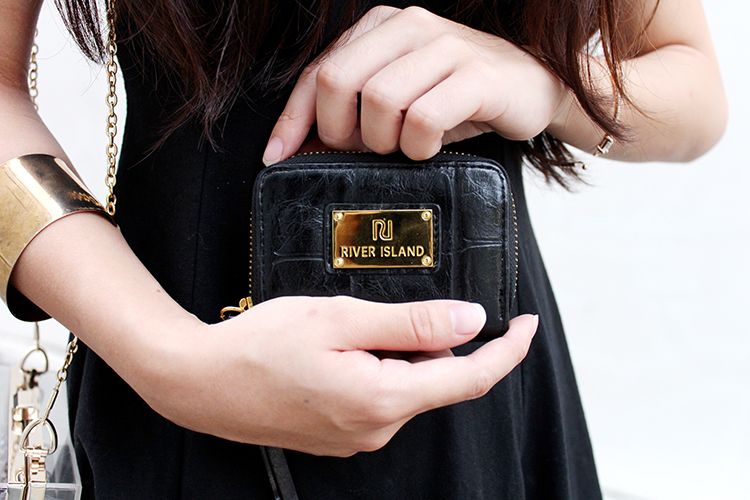 I can't believe I even got myself a new River Island purse kindly sent over by Zalora to go with my wardrobe swing. Talk about an obsession. I was pretty upset when I realized River Island is no longer in Singapore (no more pretty apparels and inexpensive accessories).. And on multiple times I was very much tempted to check them out from their online store if only I could just ignore that sum of shipping fee (Ugh don't you just hate that). You have no idea how happy I was when the team from Zalora told me that they are now carrying River Island's merchandise! Back. In. Singapore. I mean, that a whole world of difference right? Especially if we are talking about the cost and downtime of shipping. I picked this small purse for a change and amazingly it fits in anywhere. 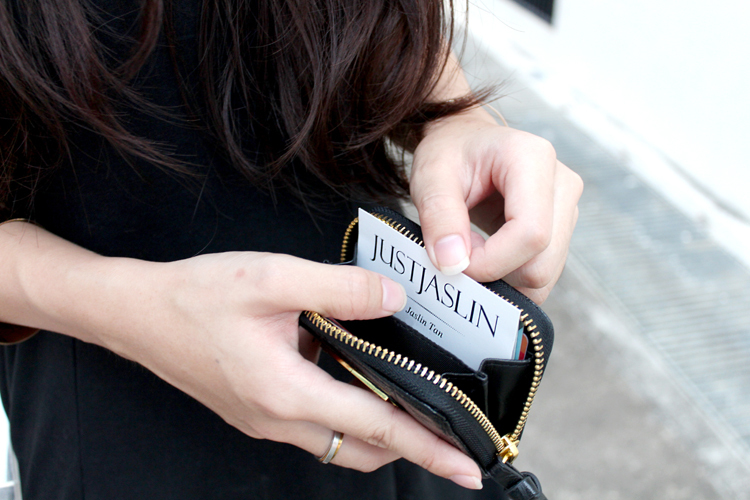 It even fits into my perspex clutch - which I usually face a dilemma when it comes to cash. You can't exactly expect me to be flashing cash around in that transparent box.. But I certainly wouldn't mind having this gorgeous River Island purse in it. Zalora will be the exclusive online vendor for UK high street label River Island starting from this month on and you can check out the collection on www.zalora.com.sg! You look so gorgeous! I love the sophisticated simplicity of your outfit. 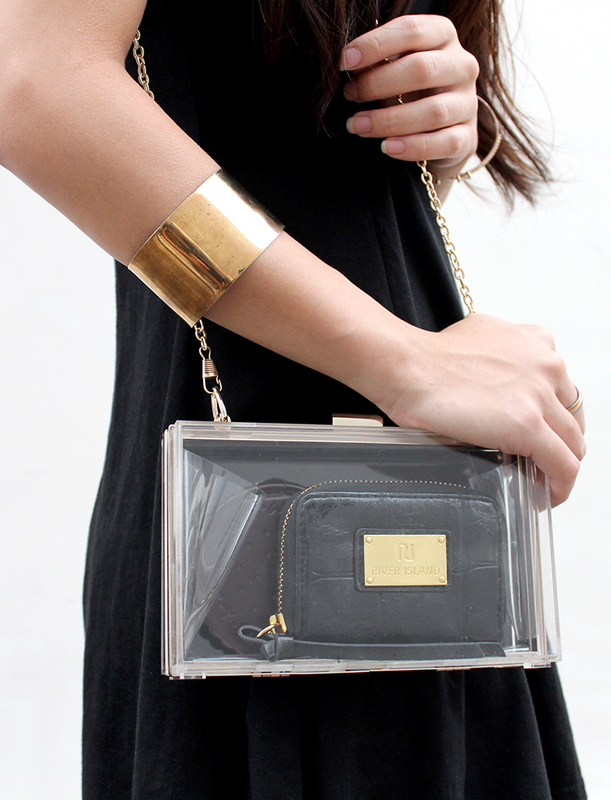 The clear bag with all the black is a great look! nice outfit dear...you're very beautiful..
Love the hat...I want one now..
wow, u look really pretty, n I have a crush on these bags.need to get one for me too !